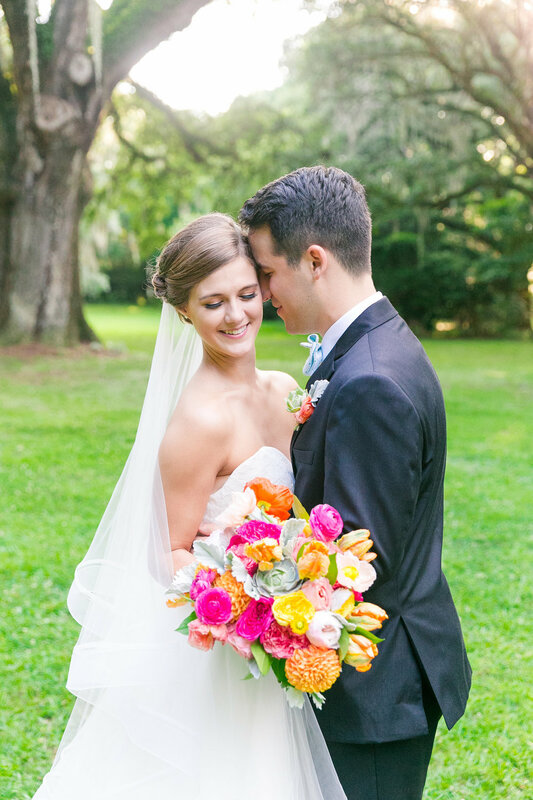 Caitlin and Chris celebrated their spring wedding at The Governor Thomas Bennett House! 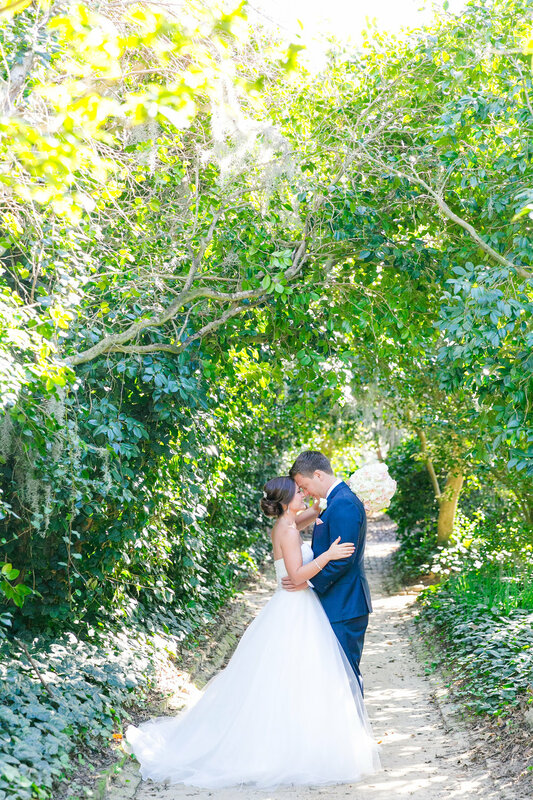 Their vision was to turn the venue into an elegant, fairy tale, garden feel. A champagne wall was a must-have for the bride which awaited guests after the ceremony to greet their family and friends with a glass of bubbly. 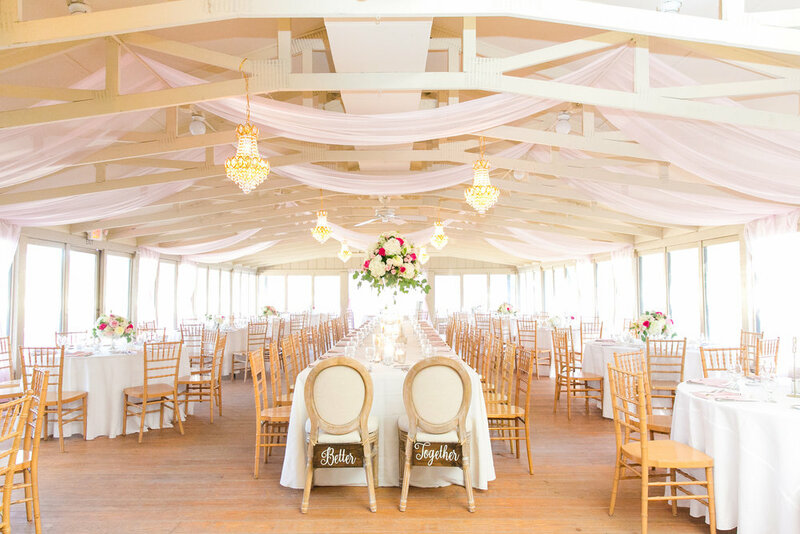 Blush, white, and hints of gold were the colors of this romantic affair- fairy lights and lots of chandeliers! 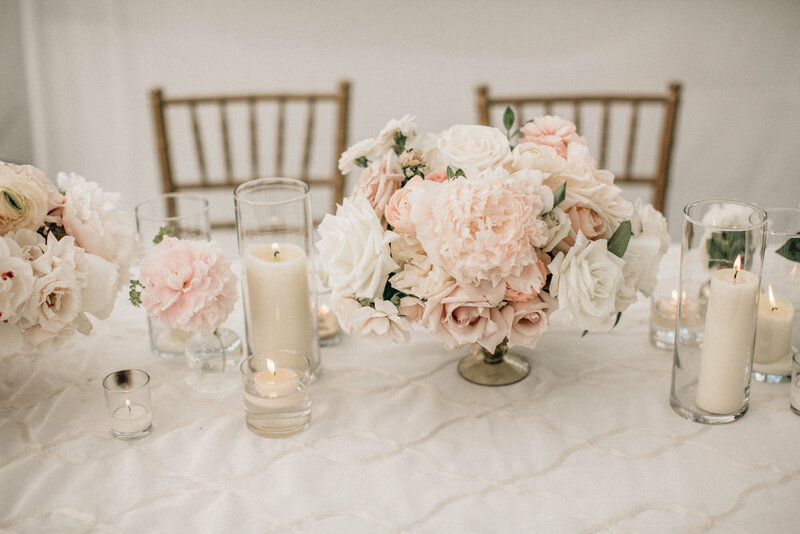 Walking into the reception tent was like walking into a garden brimming with peonies (the bride’s favorite flower), custom linens, tufted lounge, and gorgeous lighting hanging from a sailcloth tent! If a surprise performance to Space Jam by the groom + groomsmen isn't a memorable way to end the night, we don't know what is! Wishing these two a lifetime of love and happiness! Rentals | Event Works and Ooh! 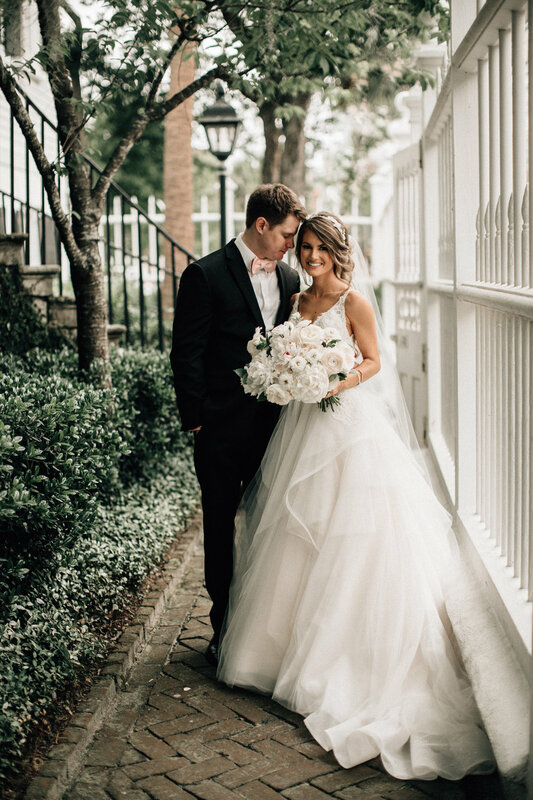 Following their "I Do" at First Baptist Church, Charlotte & Drew joined their guests as Mr. & Ms. Painter for the first time at The Cedar Room for their reception. 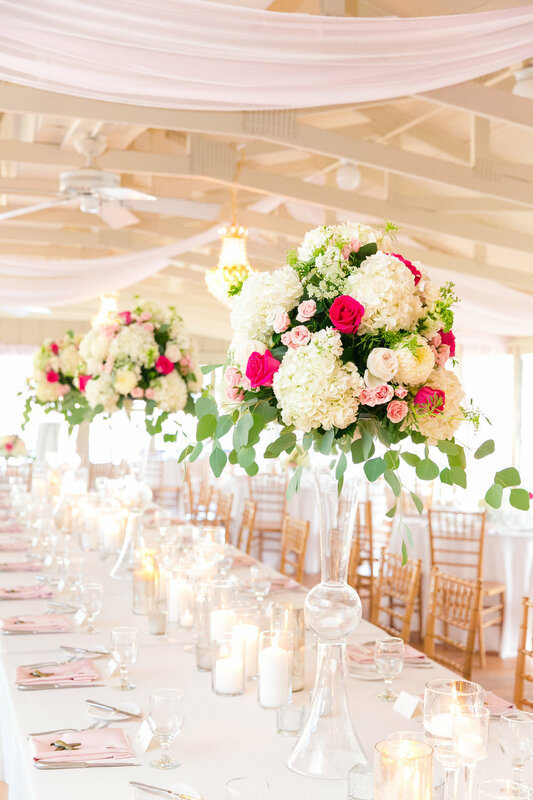 Picture tall gold stands, each topped with an arrangement of blush and white florals and lush greenery. Guests spent the majority of the night on the dance floor, under a chandelier adorned with Italian Ruscus & Jasmine Vine. 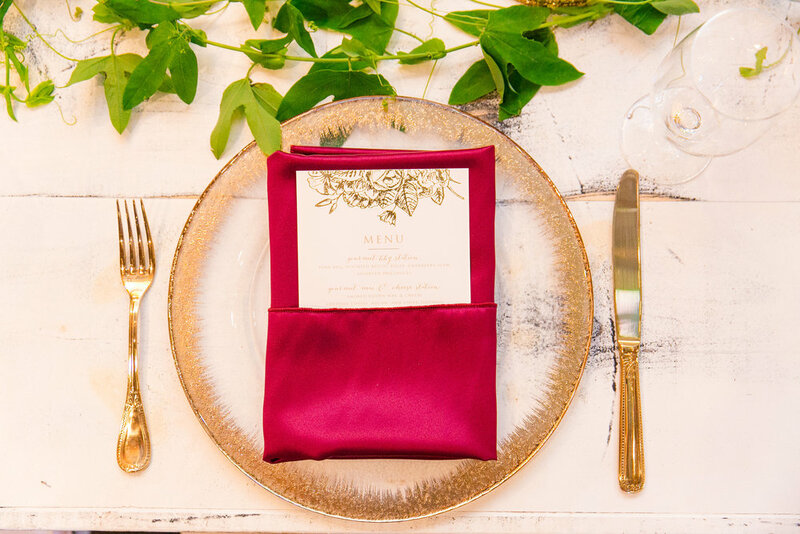 By the end of the night, guests had danced up an appetite for the late night happy hour of Nutella Milkshake sippers, Truffle & Parmesan Fries, and three-cheese tomato and basil calzones that awaited them. 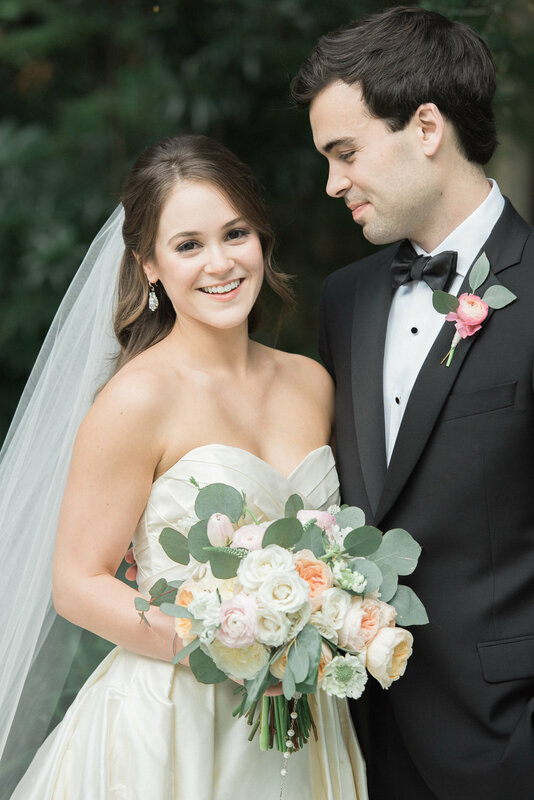 Charlotte & Drew's wedding was elegant and romantic, with the perfect touch of glam, and we wish them a lifetime of love and happiness! 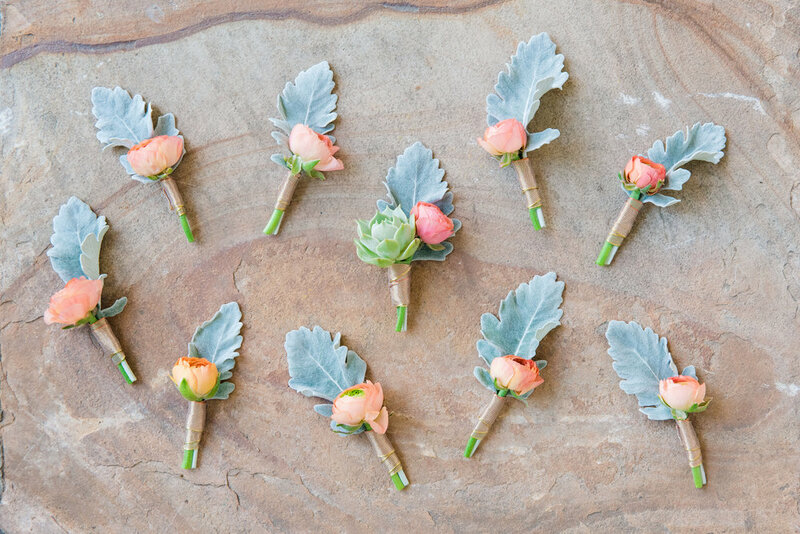 Tip: Opt for your first look the week before the wedding! 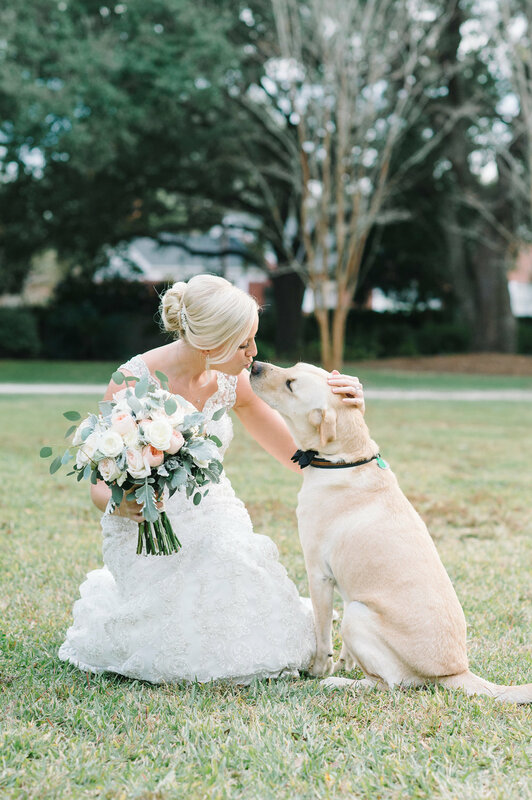 With all the nerves that comes right before a wedding, Charlotte chose to use her bridal portrait time to get all dressed up and do their first look at Magnolia Plantation with her photographer! It took all of the anxiety out of the day knowing they had seen each other, so they could just enjoy and have a great time! 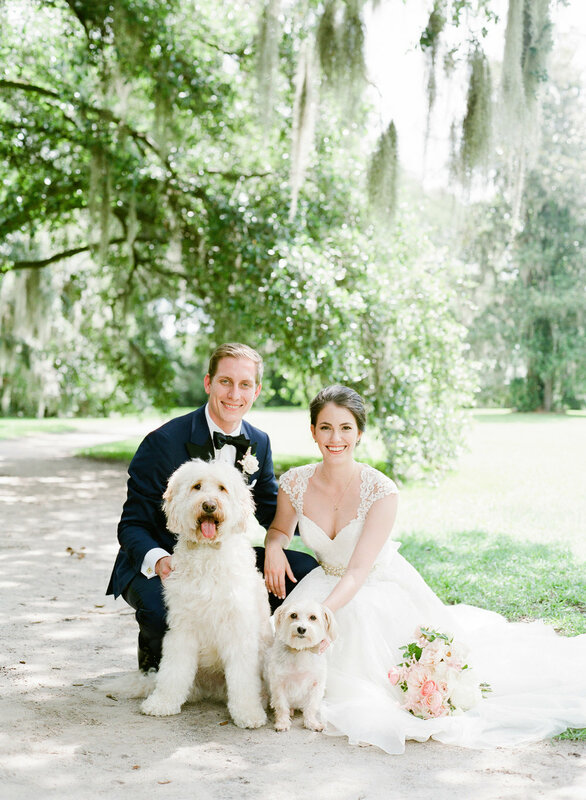 A bonus, she got beautiful photos under live oaks at a plantation with their sweet pup, plus photos downtown, best of both worlds! 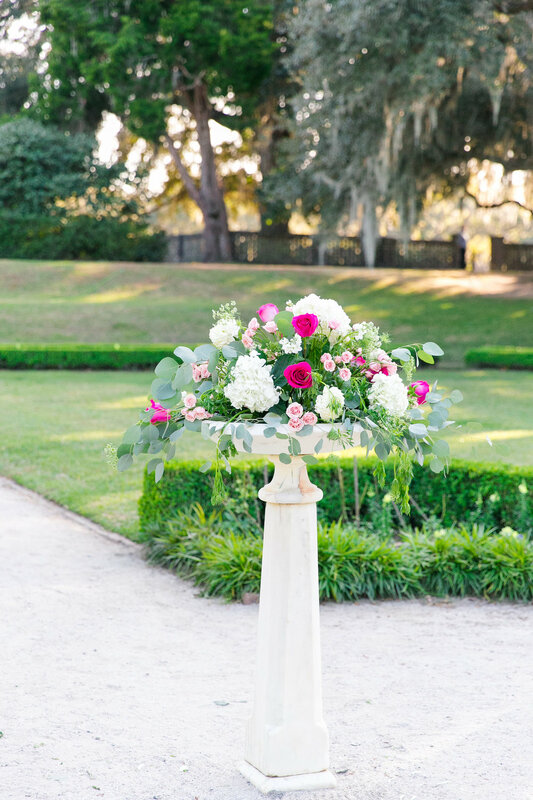 Alex and John hosted their wedding at the William Aiken House, a seamless blend of 18th- century charm and modern sophistication. 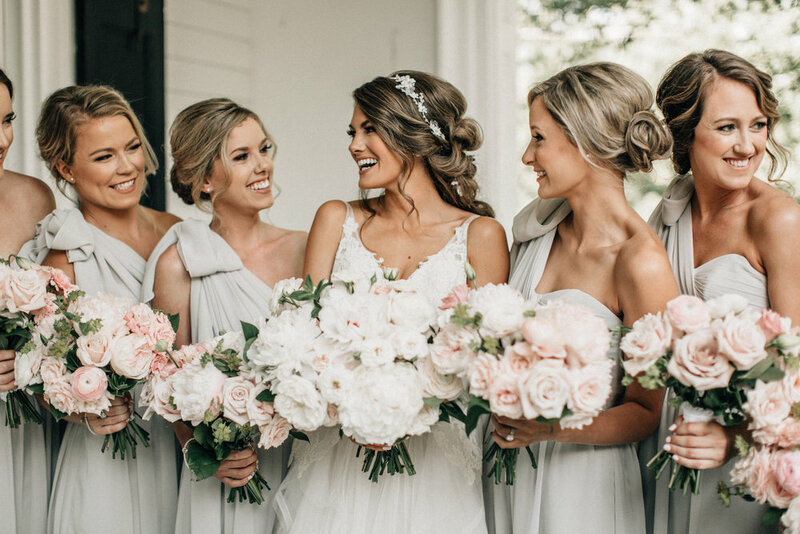 After getting ready, the couple met on the wrap-around porch for their ‘first-look” which was beautifully captured by Virgil Bunao. 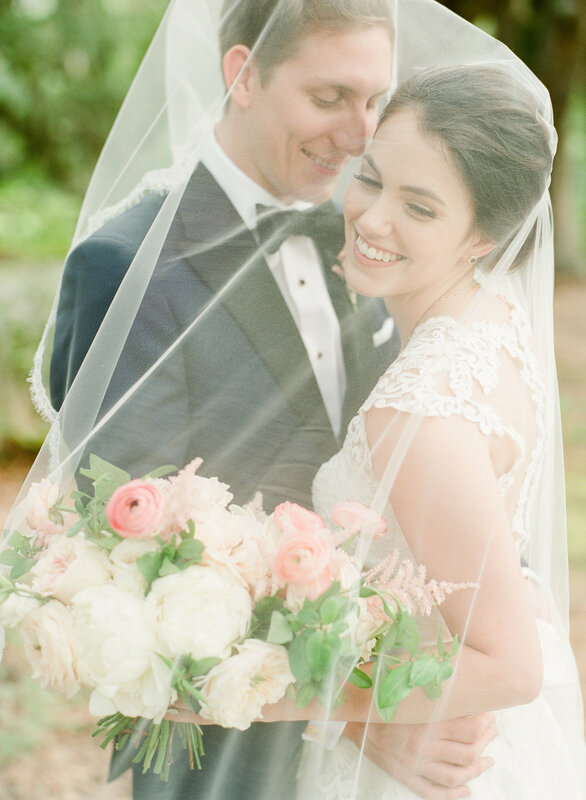 The couple was married on the front lawn with an English Garden setting that entailed an olive branch garland wrapping the seating and hanging lanterns in the oak to create a picturesque backdrop for the ceremony. 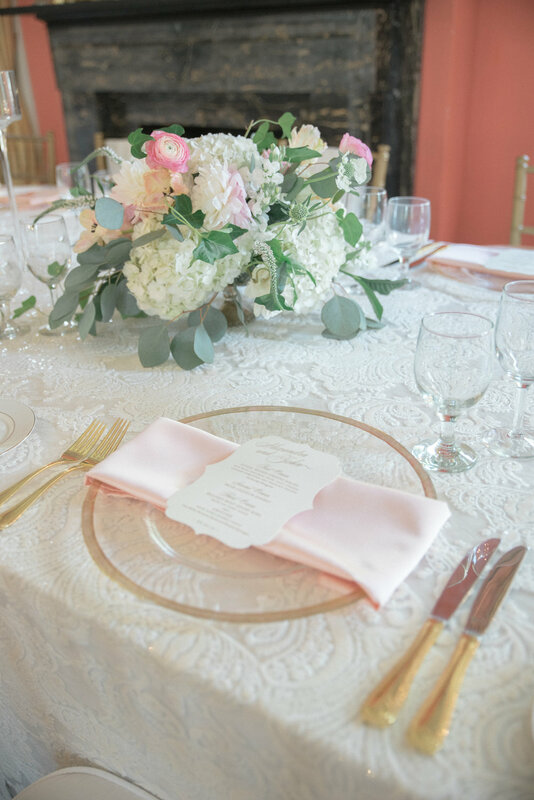 Pink, peach, and white hued blooms with accents of airy greenery topped every table alongside many gold accents. 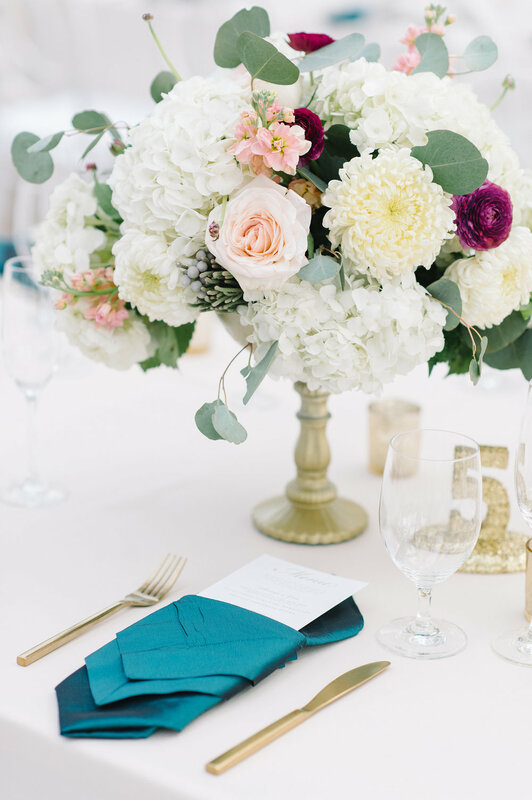 The reception area was full of gorgeous details including the lush floral chandelier, lounge pieces, birchwood and white checkered dance floor, and custom linens from Nuage. 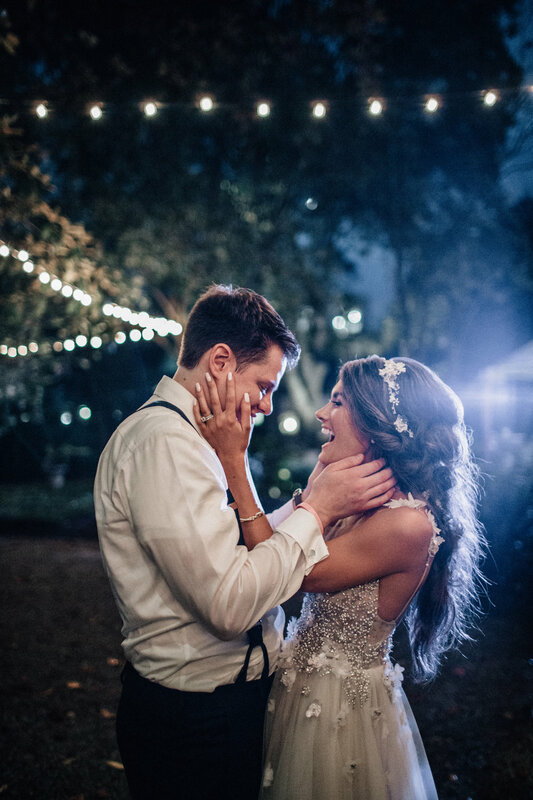 Alex + and John ended the evening with a dazzling sparkler departure as Mr. & Mrs. Kirkpatrick! 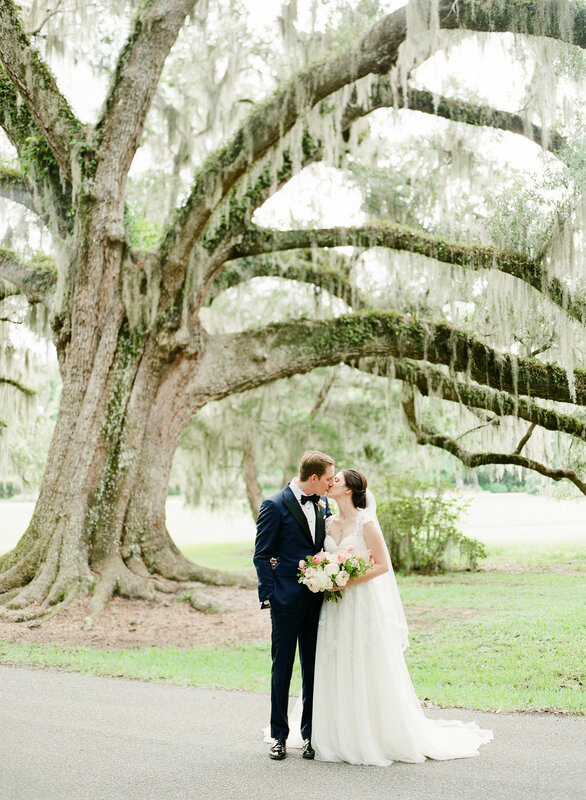 Jenna and Luke's Magnolia Plantation wedding was the perfect day from start to finish! 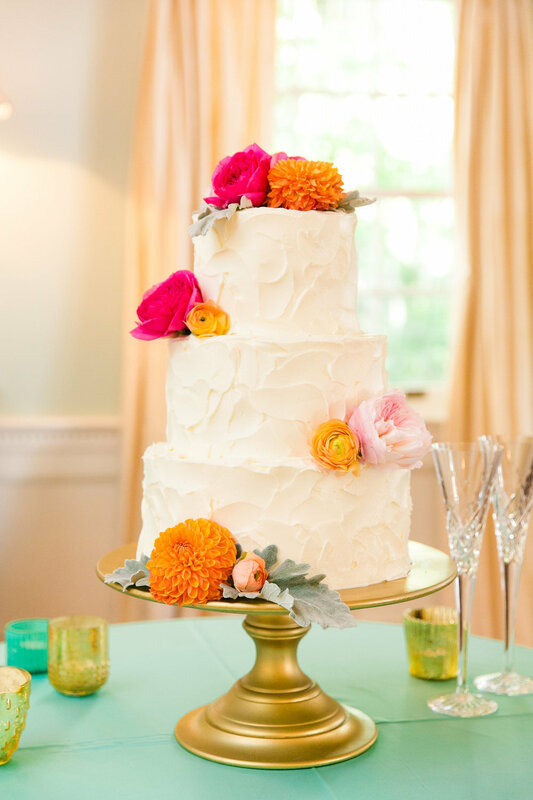 Jenna is an industry friend, and we were so excited when she reached out to us to help plan her big day! 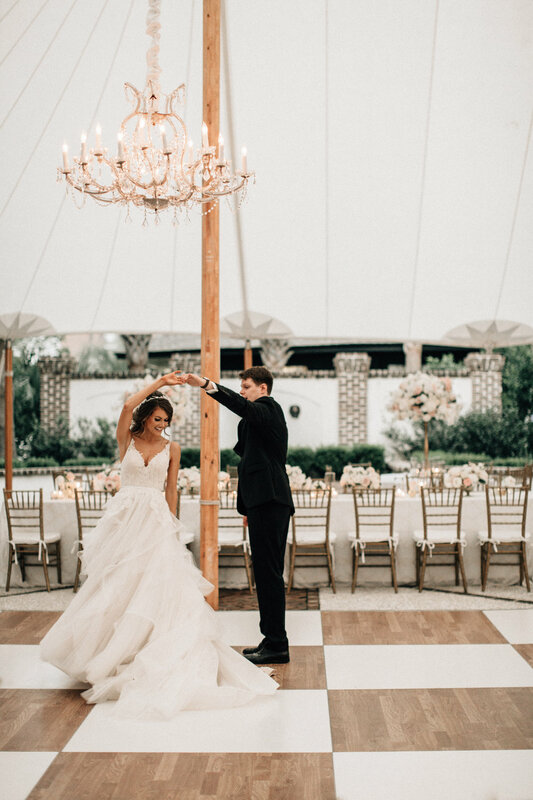 Jenna + Luke's passion for nature and horses inspired the equestrian details and all things western which was the perfect vision for the Carriage House. 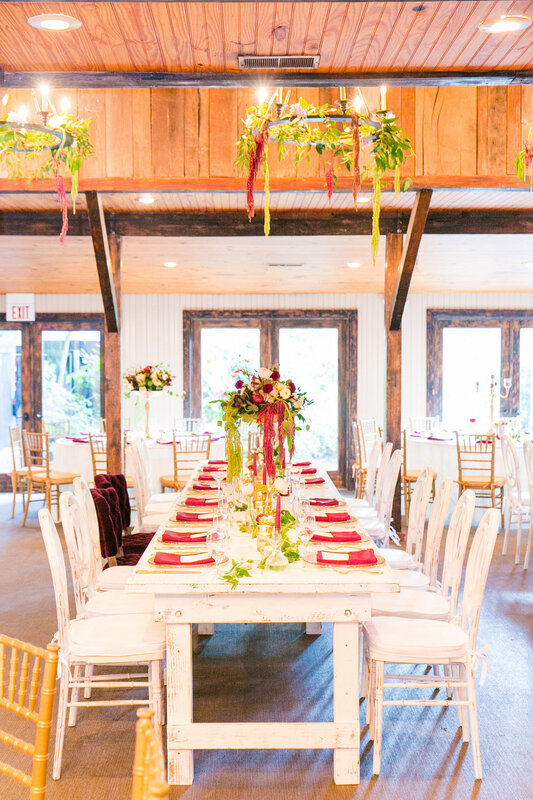 Horseshoes were set at each seat as a guest favor, custom tribal patterned napkins, and dream catchers as the backdrop of their sweetheart table. 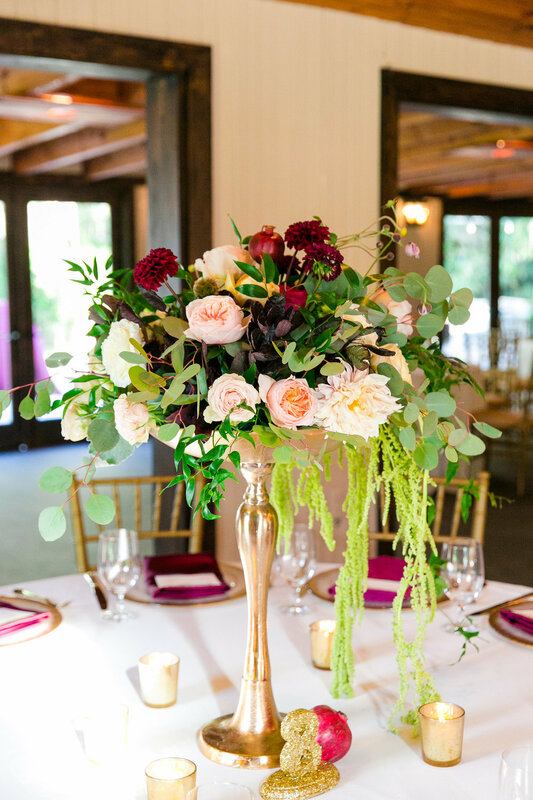 Their organic florals were full of natural greens and potted terrariums complimenting the laid back environment of the wedding day. 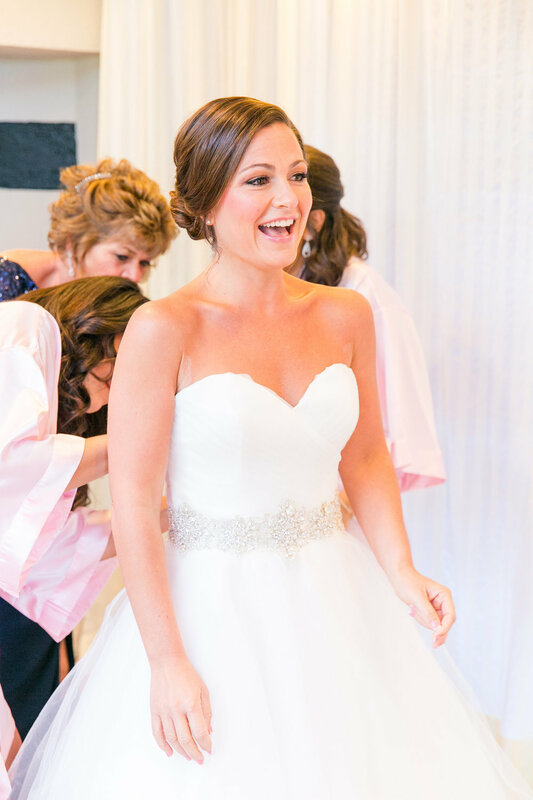 Jenna looked stunning in her gorgeous custom gown, but we expected nothing less from a bride that works at a local bridal gown boutique! 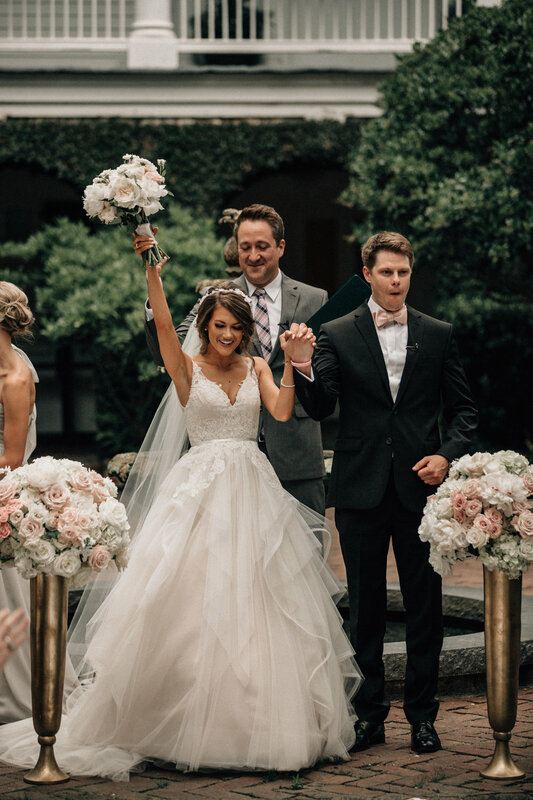 We wish Jenna + Luke a lifetime of love and happiness! 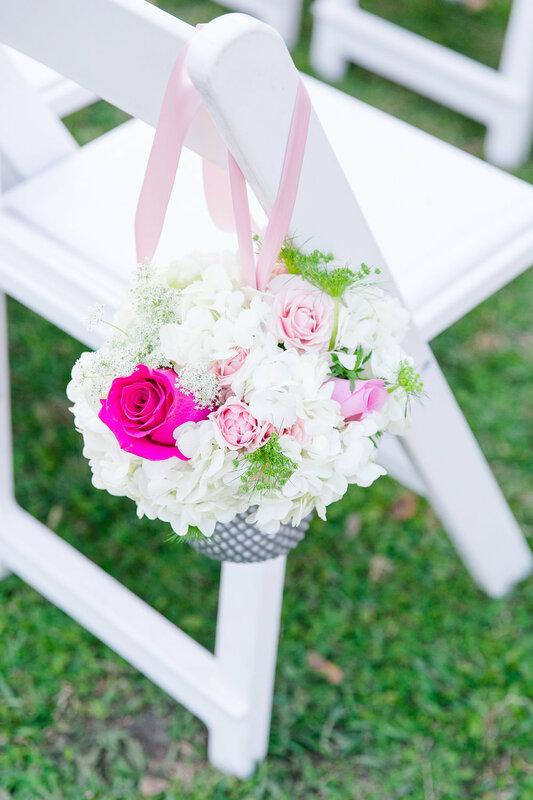 See all the beautiful photos captured by Sara Bee Photography here! 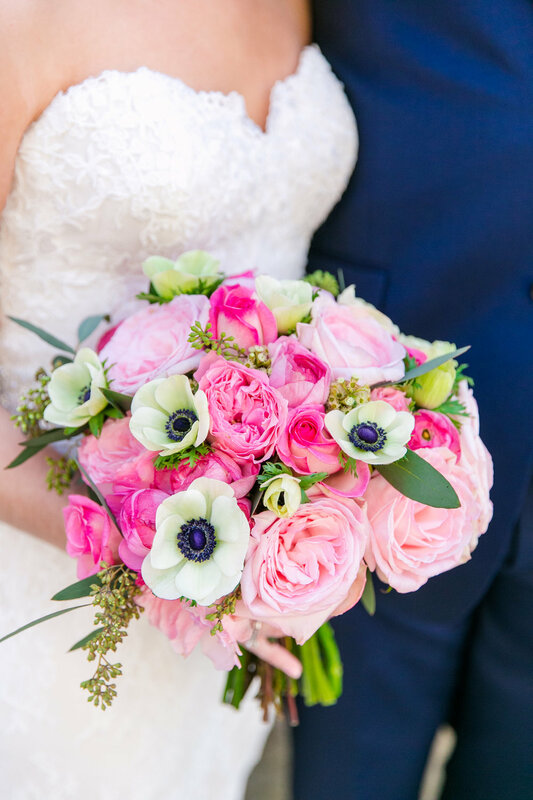 Jen + Jack’s Planters Inn wedding was the perfect venue to host the best day of their lives. 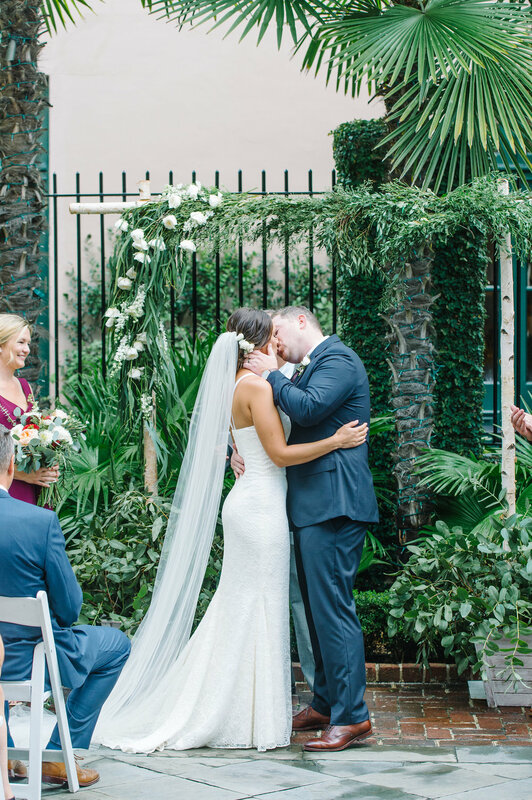 After getting ready, the couple met for their ‘first-look” at Washington Square Park in the French Quarter Area which was beautifully captured by Aaron + Jillian Photography Planters Inn, Charleston is such a special and unique venue due to its intimate space, downtown location, and beautiful courtyard. 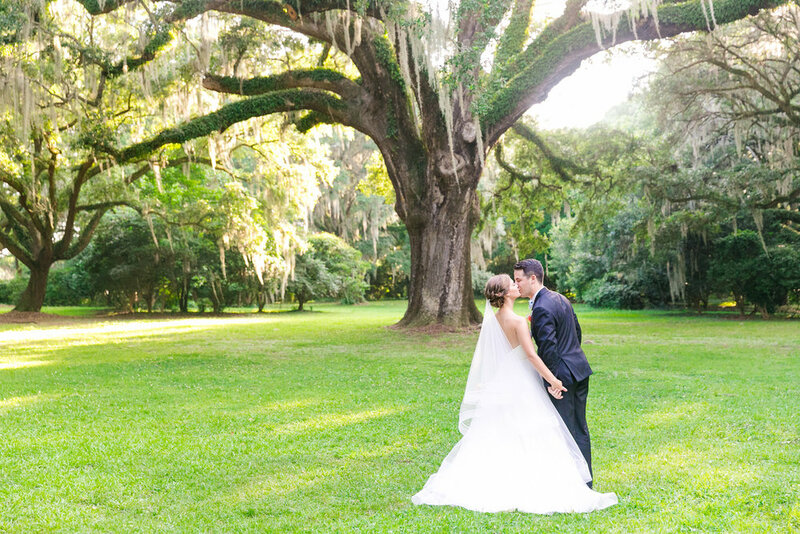 The couple was married under a lush green arbor with their closest friends and family. 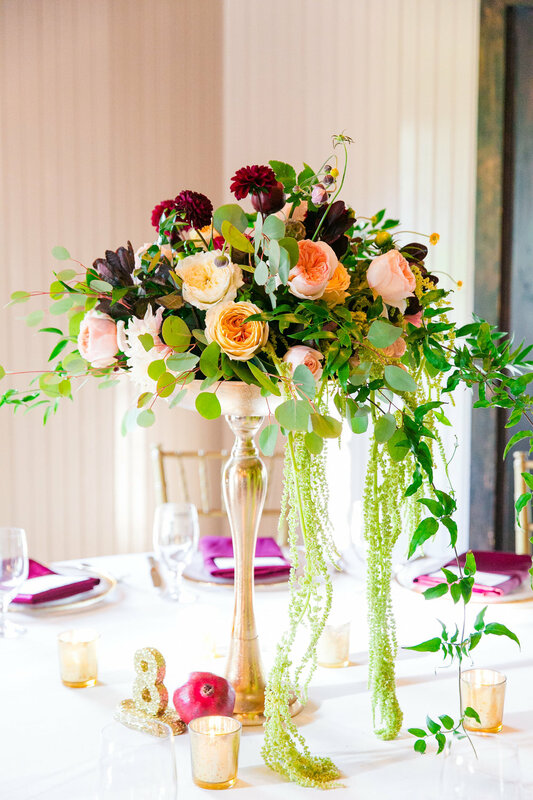 Blush, peach, and white hued blooms with accents of burgundy and greenery topped every table alongside gold accents. The beauty of the event was forever captured by Ben from Wed by Canvas with a original portrait of the ceremony. 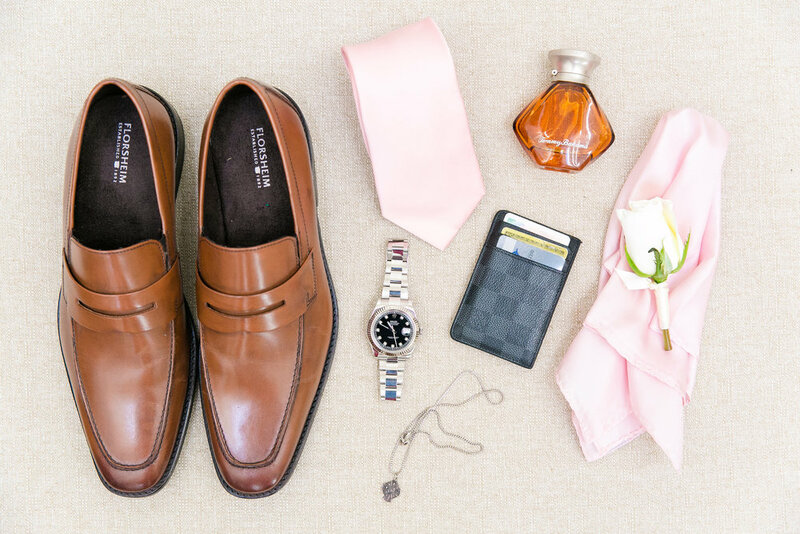 Rentals | Synder & Polished! Hair & Make Up | Ash and Co. 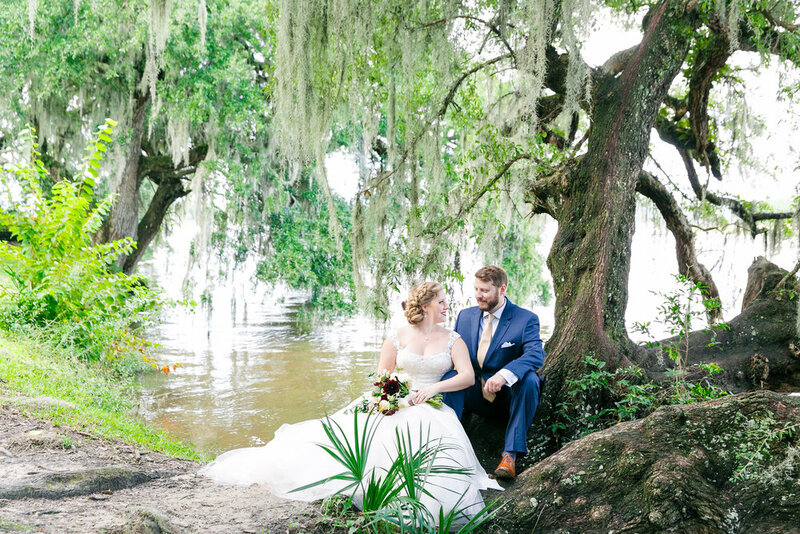 It was a gorgeous July summer day for this sweet couple to become husband and wife! 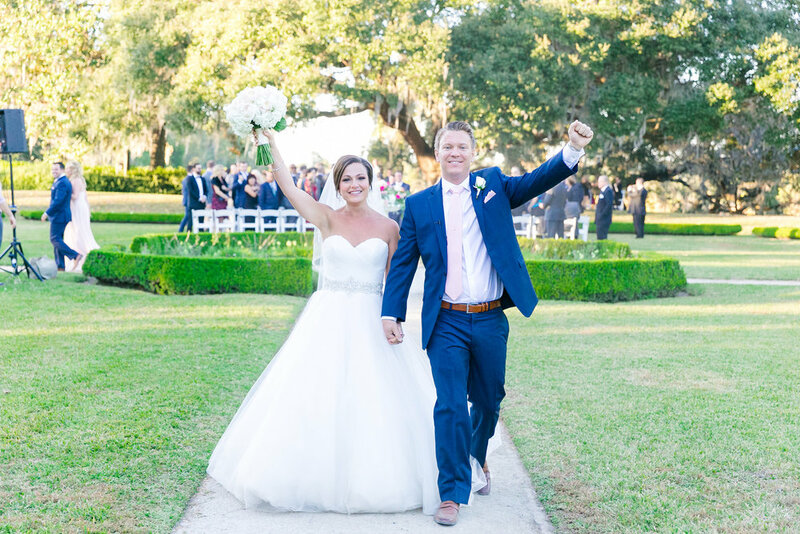 Katie + Adam wed at The Cathedral of St. Luke and St. Paul before returning via ACW Trolley to the Legare Waring House for the reception. 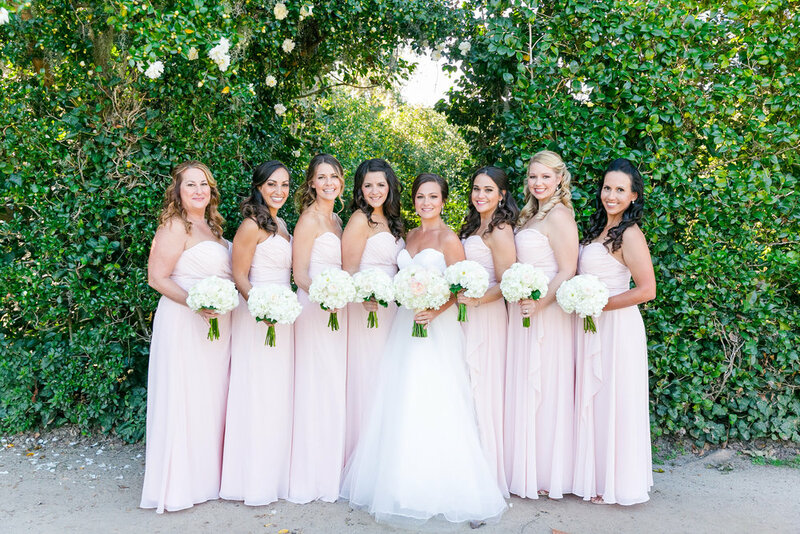 The couple chose vibrant colors of coral, orange, pink and yellow floral arrangements, which looked stunning against the bridesmaid's aqua floor length dresses, yet no one upstaged Katie who looked absolutely stunning in her Hayley Paige wedding gown. 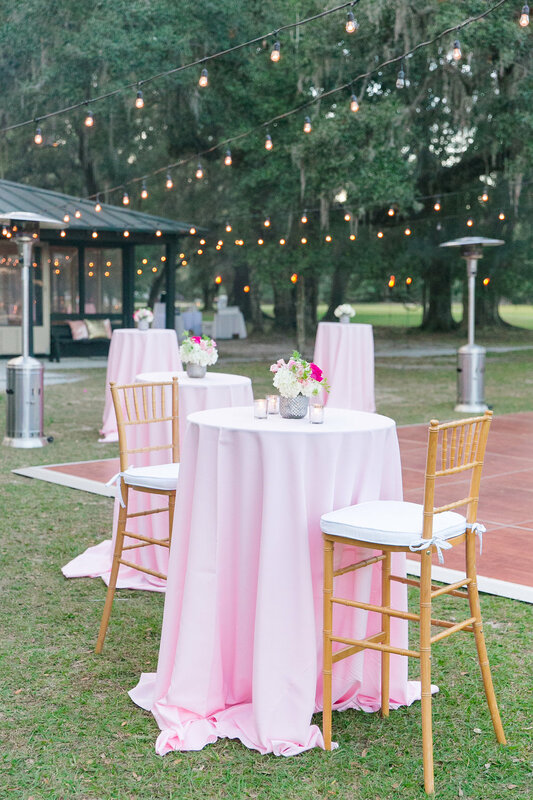 Guests enjoyed drinks and dinner from CruCatering while mingling under the reception tent or taking in the many scenic views of the historic southern home. 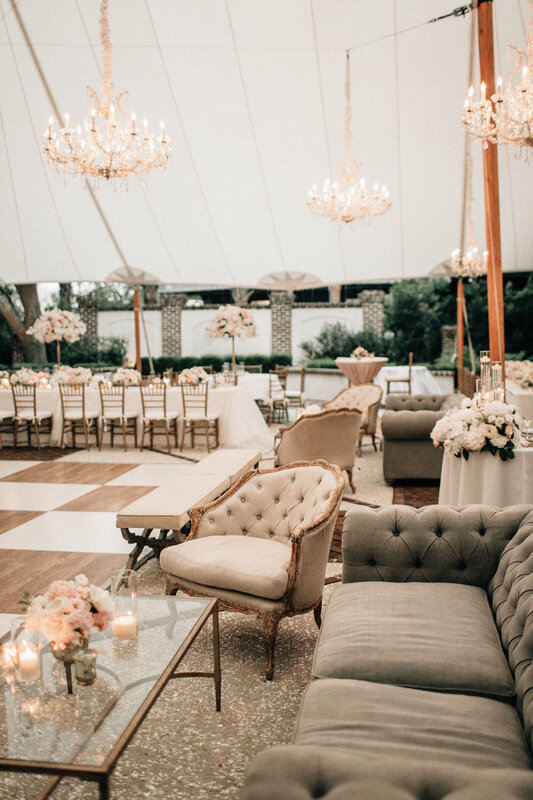 Gold IES chandeliers hung from the tent to set the mood for the celebration. King of Pops arrived to provide guests with a late night snack to cool them off from the Charleston summer heat. The glow stick straws that guests could put in their drinks were a huge hit and such a fun detail! The night ended with a glow stick departure while Katie + Adam drove away in a 1957Chevrolet Bel Air to spend their first night as husband and wife before heading to Costa Rica for their honeymoon. 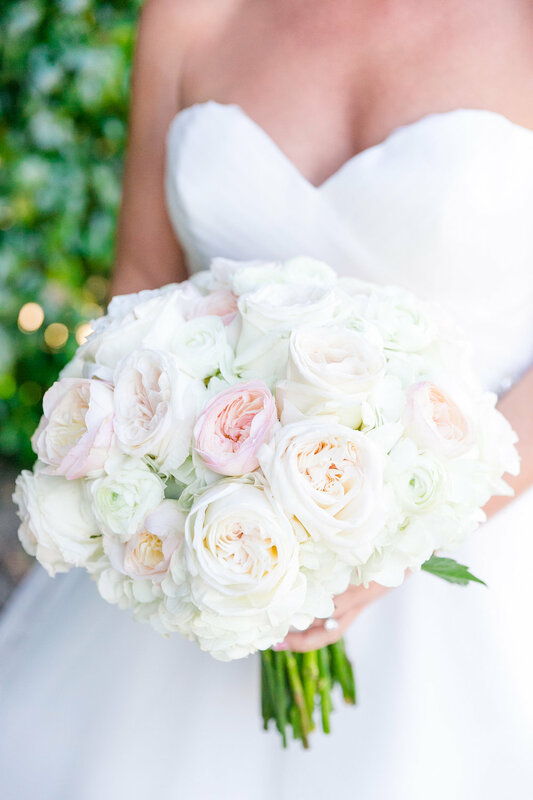 We wish you the best, Katie + Adam! 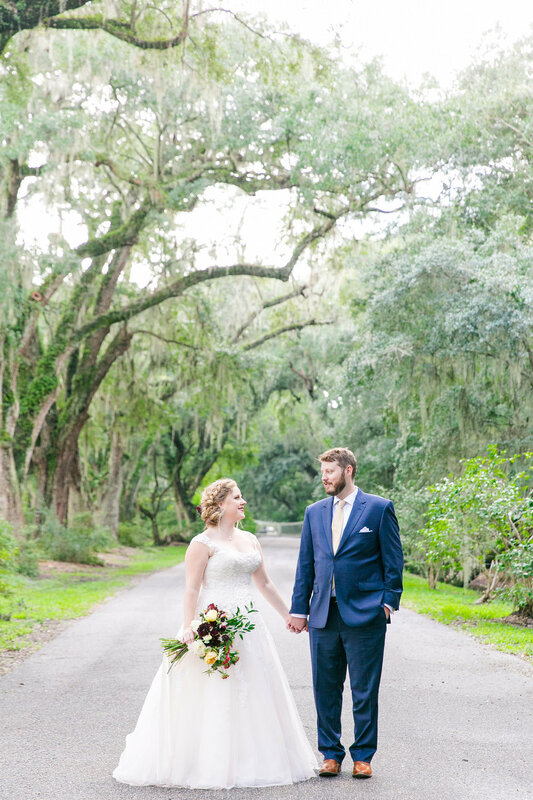 David + Stacey's Magnolia Plantation Carriage House wedding was the perfect venue to say "I do". 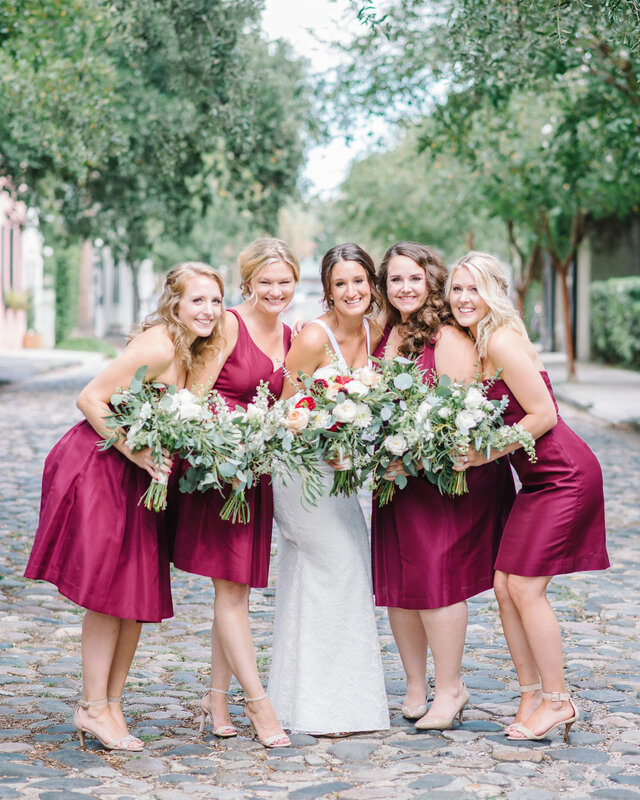 After getting ready, the couple met downtown for their 'first look' outside the Dock Street Theatre, which was beautifully captured by Dana Cubbage. The Theatre was a special place for the bride who grew up preforming there as a little girl. 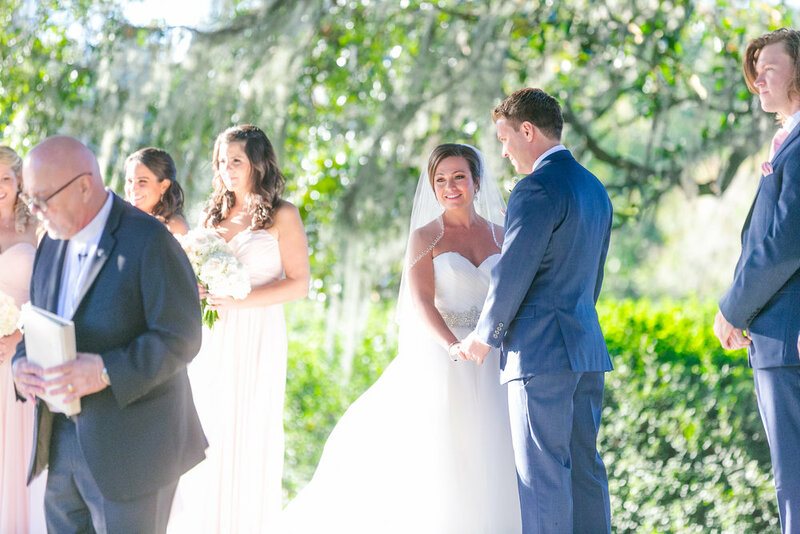 This romantic, river-front location (along with the very compliant, and stunning weather) provided the perfect backdrop to a stunning Jewish ceremony and reception in front of their closest family and friends. 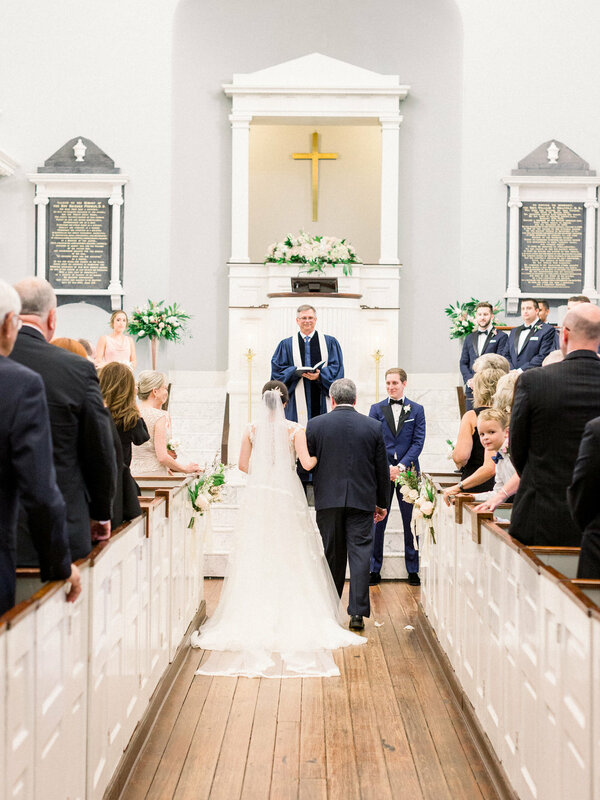 David + Stacey were married under a beautiful hand-made Huppah that was accented with a fabulous florals by Wild Flowers, Inc. 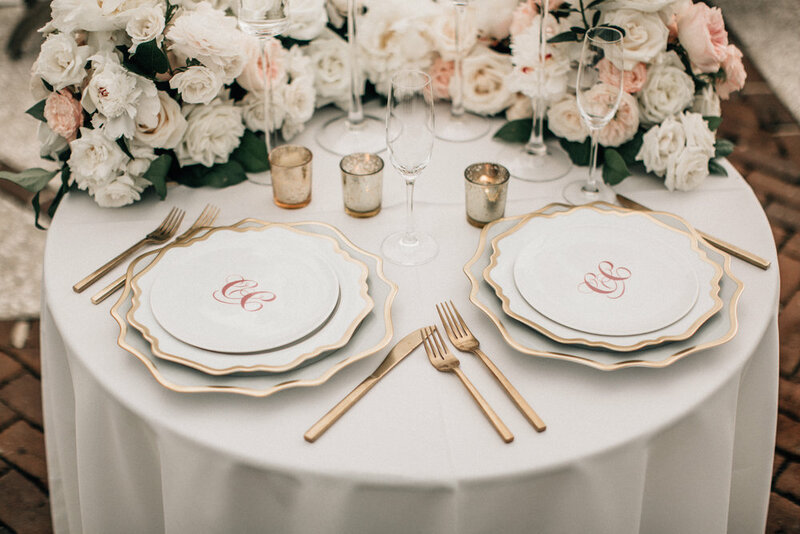 Pink hued blooms filled the table tops with accents of navy and gold with specialty gold sequined runners. 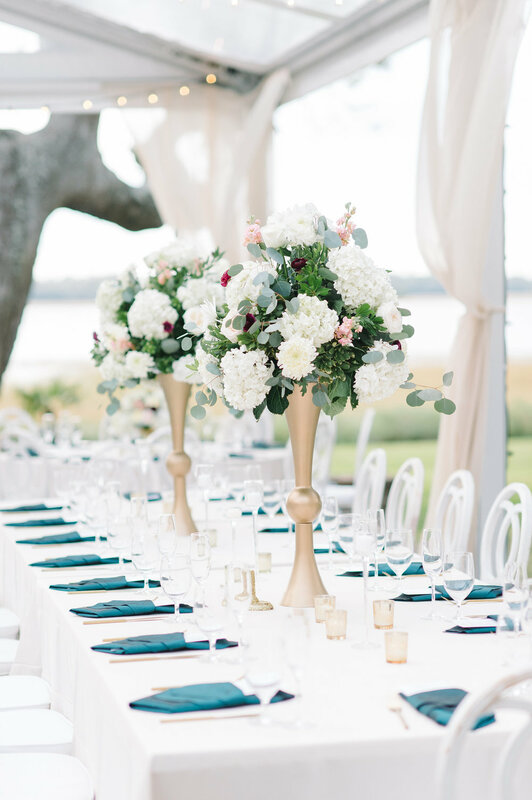 A white birdcage with spilling flowers adorned David + Stacey's sweetheart table. Guests enjoyed signature cocktails by Squeeze named "The Sherfman" that was made up of vodka, grapefruit juice, simple syrup & bitters, and a "Southern Belle" made up of firefly vodka and lemonade. Their signature cocktail was named after their fun wedding social media hashtag, #Sherfman (a combination of both of their last names.) Delicious hors d'oeuvres were made and served by Salthouse catering, while guests mingled and enjoyed the DJ's selection of Sinatra-style music. David + Stacey danced the night away, including a very fun Horah (which was our favorite part of the evening!) The newly weds rode off in style in a Rolls Royce as the new Mr. & Mrs. Shiffman.